Not that long ago, IT departments were responsible mainly for making sure that knowledge workers got access to whatever information was available and for keeping the lights on. That latter responsibility was all consuming. PCs and enterprise systems were still going through their growing pains and varieties of system failures were all too common. The job of the chief information officer (CIO) was more about troubleshooting and firefighting than anything else. Information Technology (IT) was simply a cost center - just like travel or communication. Well, things have changed. The systems we work with are, for the most part, reasonably reliable. We don't have to reboot our PCs twice a day just to flush out the memory leaks. 99.999% uptime is not that big of a differentiator for servers, routers, and switches anymore. Users don't call the help desk daily and access to information is not the challenge at hand. Today, we have information. We have a lot of information. In fact, we have way more information than we could ever consume. Herein comes the change in the mission of IT departments. As organizations came to realize that information emerged as a key source of competitive advantage, they were increasingly looking at their IT departments as a key stakeholder in corporate strategy. All of the sudden, the CIOs got what they were always dreaming about. 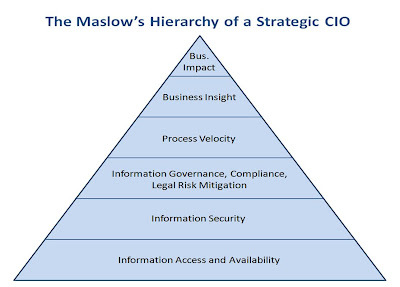 No longer the troubleshooter, no more the firefighter - the CIO is now the strategist. What organizations need is the ability to make better decisions - using the right information. They need insight. They also need to apply information to create an impact on their business - to grow revenue, attract new customers, enter new markets, and generate innovation. And finally, they also need to drive productivity and continuously optimize their business processes. Not to forget, enterprise information must also be secured. As it represents significant intellectual property, it has to be protected from intentional or unintentional misappropriation by internal or external actors. And let us not forget the need to address compliance and information governance requirements and to protect the company from legal exposure. 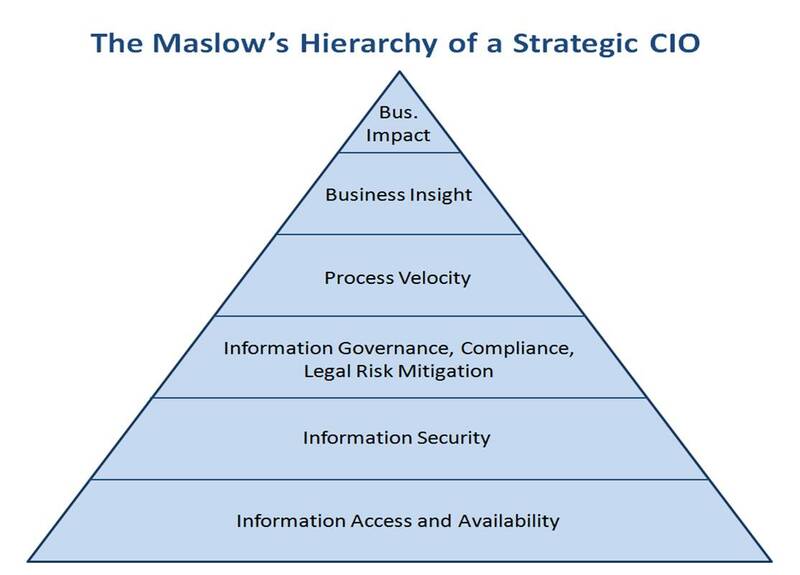 With all of this, the strategic CIOs have their hands full. They still need to keep the lights on but now, they are major stakeholders in defining corporate strategy. Combine that with all the new technology trends such as mobile devices, social software, and cloud computing and you get the picture of the magnitude of their challenge. But I guess that being strategic is way better than fighting fires all day long, right? Blog every one can get lots of information for any topics from this blog nice work keep it up. I would be interested in learning what CIOs are doing to mentor their staff; to enable them to probe business users about their objectives, rather than simply take orders. Not sure I'm seeing a lot of that happening among web designers, developers, and programmers.